The Thrive Program is provided in addition to our regular homestay program and is designed to promote a positive, active lifestyle among young adults. During the ten-month school period , students in the Thrive Program are presented with bi-weekly opportunities to participate in events and activities organized by Sage Global that cultivate their academic and social development. 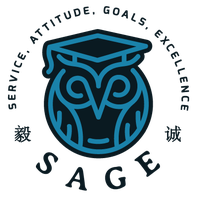 At Sage Global, we understand the challenges students face in adapting to a different culture at a young age.Without proper support to help the students acclimate, students can easily head down a negative path. The most prevalent problems we see in struggling students are behavioral and emotional instability, isolation, social media & video game addiction, academic struggles, and various forms of depression. Our staff ensures that students are connected with a strong community of international students. Local managers organize monthly social gatherings such as holiday celebrations, outdoor activities (hiking, biking, sports competitions, bowling, etc.) as well as vocational trips during long holiday breaks. We encourage our students to complete 100 hours of community service before graduation. The Thrive Program provides monthly community service opportunities that enable students to give back. We believe teaching young adults to be involved in their community is the best way to nurture compassion, integrity, and a sense of appreciation for what they have. Upon the completion of their community service requirements, students will receive a certificate and a portfolio that documents their journey. At the very beginning of the program we will help students choose their top five college choices and will use that to help keep students on track over the course of their studies. 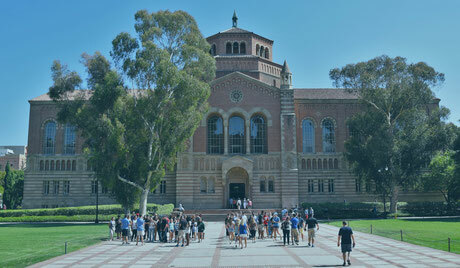 The Thrive Program will also host two college visits per academic year. Lastly, our staff will help students explore local internships and short-term study programs to complement their studies.